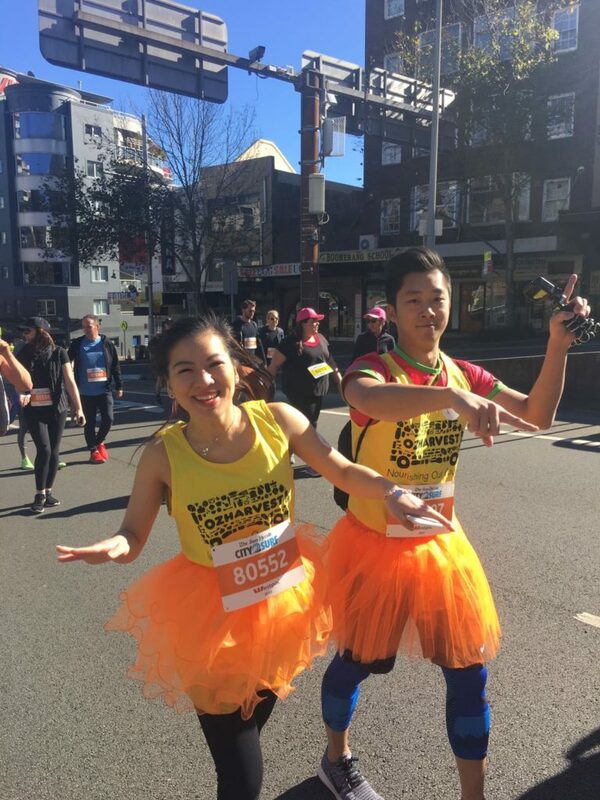 A MASSIVE throwback back to that chilly Sunday morning when we donned our runners, bright yellow OzHarvest tanks and our fluro orange tutus to run for a cause! Part of what we do at FCBA is to find ways we can give back, not just to our foodie community but to the greater community as well, by raising money and helping spread awareness of important causes. OzHarvest is an amazing organisation we are proud supporters of; their work of redistributing quality surplus food to 1000’s of charities that support people in need across the country, to not only help those who need it most, but also our environment by ensuring perfectly good food is not sent to landfill. 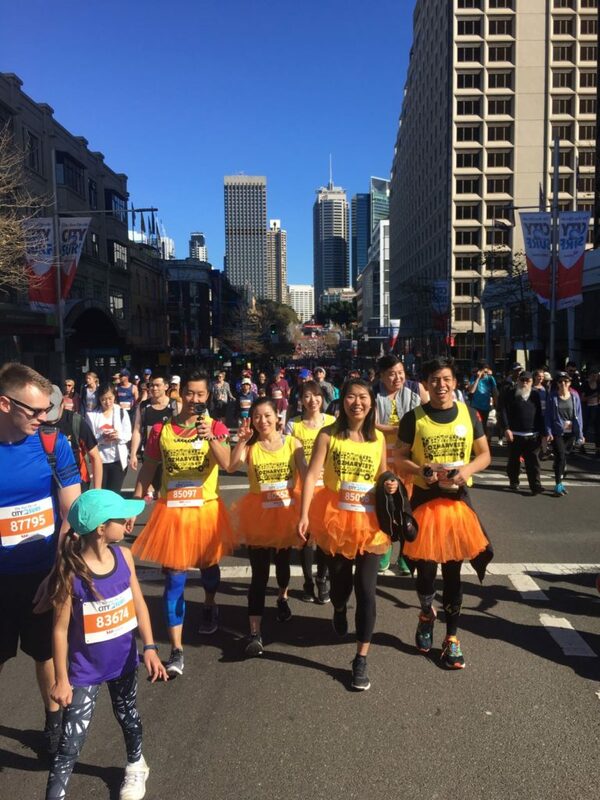 To help raise awareness and funding, the FCBA team was joined by Phil, Cathy, Anthony and Patrick, to dance, prance and skip our way from Hyde Park to Bondi Beach. Huddled at the Starting Line, the atmosphere was amazing; pumping us up for the 14km ahead. 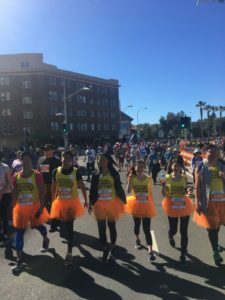 We loved the spirit of the crowd, with some dressed up in quite elaborate costumes – I don’t know if I could’ve made it to the end dressed up as a dinosaur or a minion! It was also amazing to see the locals come out to cheer us on AND to tease us with sausage sizzles and ice cold beers while we were sweating it out! But not to fret! We had a beautiful feast waiting for us at Zilver Bondi to celebrate us making our way across the Finish line (almost 3 hrs later)! Heading over to Bondi Junction, we were seated at a huge table and the beers and dim sims just kept coming! 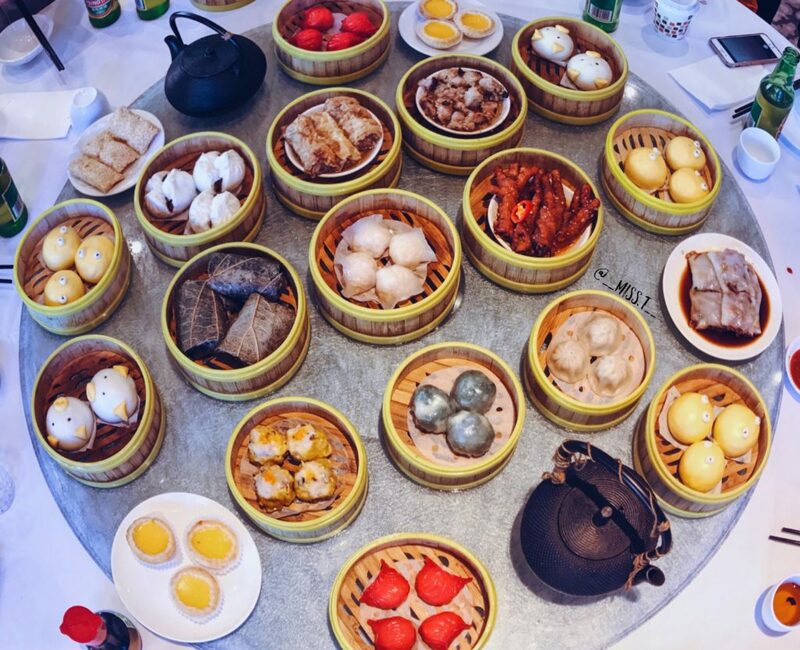 From saucy chicken feet to soft, plump dumplings and steaming hot custard buns that were just too cute; we were in absolute Yum Cha heaven! A HUGE thank you to Zilver Bondi for refuelling us following the race. If you haven’t been yet, you better head over stat to check them out, because you’re definitely missing out! 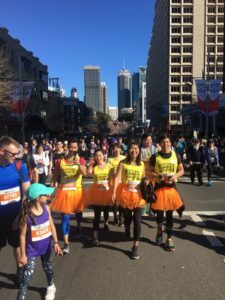 We raised over $700 for OzHarvest which can help provide over a THOUSAND meals for those in need which is an amazing feat! 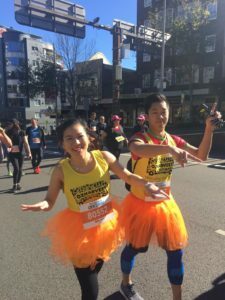 Please help them continue their great work by donating via https://www.ozharvest.org/give-a-little-love/donate-money/. Thank you so much to everyone who supported us and donated to this amazing cause. Sometimes it can be easy to forget, what could just be loose change to us, can go a long way in helping others. So maybe give up a coffee once a week and donate those few dollars to a charity you believe in, I know you wont regret it! Newer Post Where’s The Food & FCBA Older Post Get Your Pink On with FCBA x Eatventures! ?